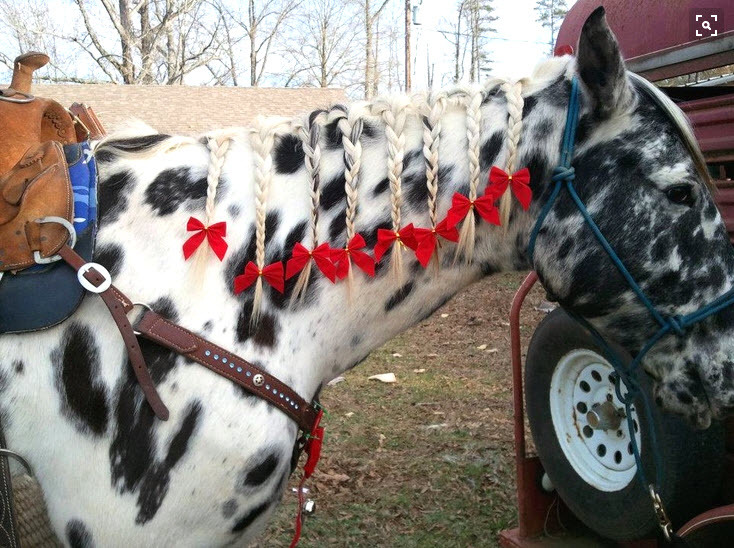 Deck your horse with bows and braids for Christmas! Separate your horse’s mane into sections with small hair bands. Separate each section into three parts, braid them together, and attach a small rubber hair band on the base of the braid. Glue the center of a twist tie onto the back of each Christmas bow. When the glue dries, wrap the twist tie around the base of each braid and tuck the ends into the hair band.